As people get ready to start traveling again, some are discovering that their RV tires have lost inflation pressure over the past few months while it was parked. There are a number of possible contributors to a loss of pressure. Some of these have been covered in my posts on leaking valve cores or metal valve O-Rings or possibly punctures or even rim corrosion. This post will cover just two of the possible causes. permeation and Temperature change. The simple answer is that tire pressure will change about 2% for every 10°F change in temperature. 1. Normal pressure loss due to gas permeation. This is basically what happens when the molecules of gas "leak" or travel through the rubber of a tire. New passenger and LT tires sold to "Detroit" have to pass tests and meet a specification of a loss rate of less than 1% or 2% per month when averaged over a number of weeks or months, with different companies having different specs depending on the application. TBR (Truck-Bus-Radial) tires as seen on Class-A RVs will have similar performance goals. Low Cost import tires sold at "Billy-Jo-Bob's Cheep Tire Emporium and Bait Shop" may not have any such spec so might lose pressure faster because of the use of lower cost inner-liner rubber. This topic could be an entire post of its own but is quite technical and is not based on just the molecule size of Oxygen. V is the air Volume measured in cubic meters. While tires do change a little bit in volume the difference is not meaningful for the purposes of this discussion. N is the amount of gas in the air chamber in moles. For the purposes of this discussion, we can ignore this number as we are not changing the amount of gas in the tire when we are comparing the pressure difference just due to temperature difference. R is the ideal, or universal, gas constant. R for dry air is 287.1 for N2 296.8 and for O2 259.8 for water vapor it is 461.5 so you can see that moisture in your inflation gas can significantly affect the Pressure/Temperature ratio a change from air (79%N2) to 95% N2 is not significant for the purposes of this discussion. I did a post on how to make your own "air dryer" so you can approximate the properties of dry air or dry Nitrogen. T is the absolute temperature in degrees kelvin. 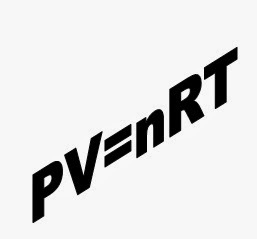 After discarding the inconsequential terms we really end up with is a simple ratio P2/P1 = T2/T1 and we can even ignore the conversion of psi to pascals as the ratio of pressure is the ratio of temperature in degrees Kelvin. Sorry we do need to use Kelvin but you don't need to do a conversion as you will soon see. 30°F would be 272.039/294.261 = 0.92448 or 8% drop in pressure for a 40°F drop in temperature from 70°F to 30°F. You may see various web pages such as this one from TireRack or Wikipedia saying 1psi for each 10°F change but you need to remember that this information is based on the assumption that the "normal" inflation is about 35 psi in a passenger tire.